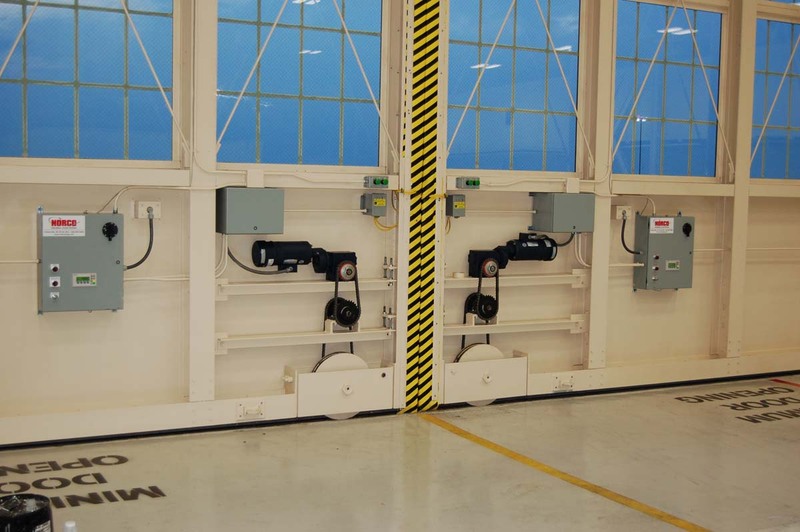 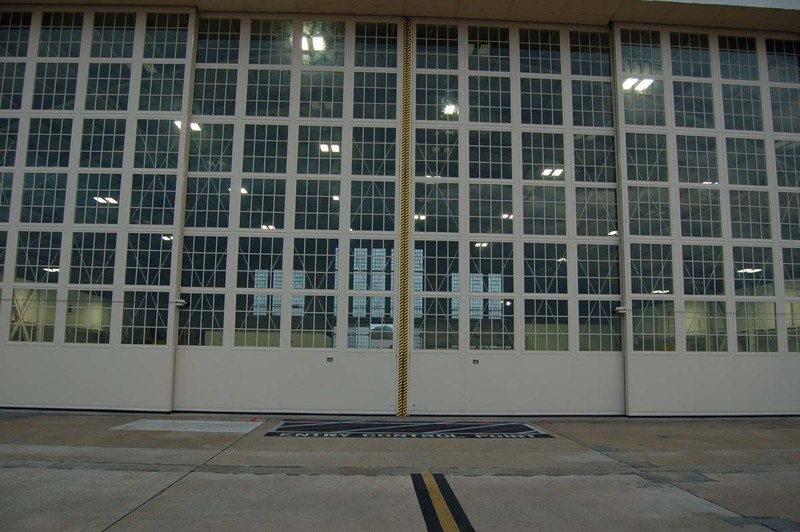 Florida's hurricane season prompted an aggressive installation schedule for this dramatic hangar door system at McDill Airforce Base. 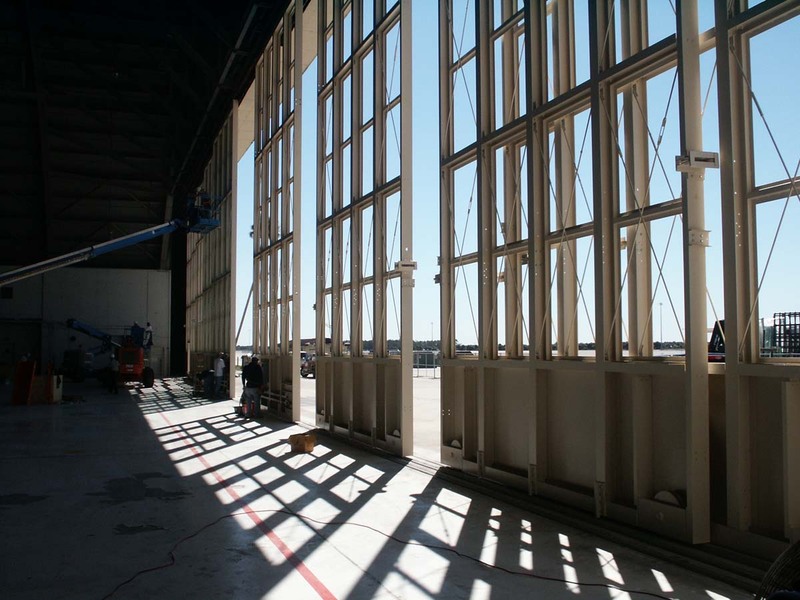 Norco worked closely with the contractor to ensure timely delivery of materials and handled on-site installation. 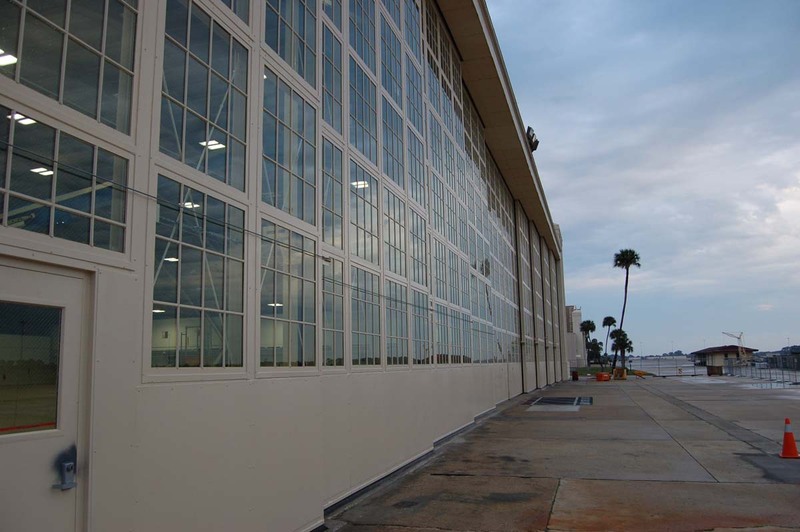 The glass panels and door design were developed with historical accuracy of the hangar in mind.